In 1890 a law, the Separate Car Act, passed that stated there were to be separate compartments for whites and blacks on trains in Louisiana. The consequences of breaking this law were either a fine of $25 or 20 days in jail. There was a group of black men that worked at the East Louisiana Railroad Company, they raised 3,000 dollars to try and overturn the law. They chose a 30 year old, Homer Plessy, a shoe maker to lead them in the fight against the law. Plessy was only 1/8th black but was still treated unequally. On June 7, 1892 Homer purchased a train ticket traveling from New Orleans to Covington. When he was going to sit down he purposefully sat in the "Whites Only" section. The police arrested him for going against the Separate Car Act. A white lawyer, Albert Tourgee, offered to defend Plessy's side of the case, for free. Albert argued that the Saperate Car Act disrupted the thirteenth and fourteenth amendment. These amendments were banning slavery and promising equality for blacks. John Howard Ferguson, the judge, said that the Separate Car Act was only required for Louisiana and announced Plessy guilty. 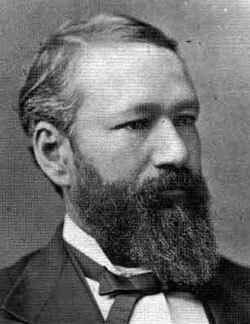 In 1896 Plessy took the case to the Supreme Court. Homer lost this case again but demanded that the judge should make a "Separate But Equal" act saying there can be separate facilities as long as they are equal in quality. If you were going to ride in that train and you were "colored", where would you sit?